SkillsUSA is a professional career and technical student organization designed to be led by students, for their own growth and benefit. SkillsUSA members develop into well-rounded people with technical, academic and employability skills that will help them get a job and have a successful career. Through chapter meetings, contests, leadership conferences and activities, students build these skills. Each chapter chooses, plans and conducts its own activities. 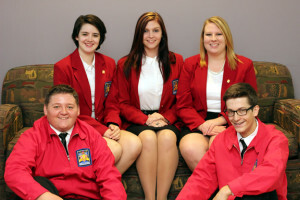 This page is designed to provide you with several important links to resources to ensure you get the most out of your experience with SkillsUSA! Pocket Resume – Downloadable/printable for your purse or wallet.